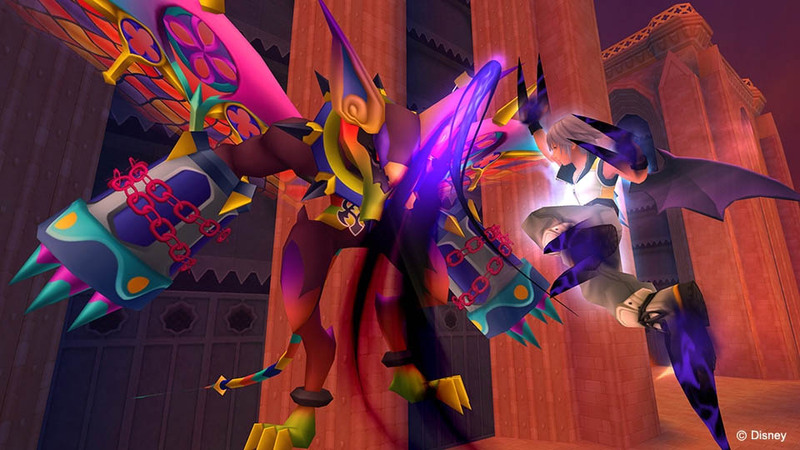 This week I'll be chatting a bit about the recent release of Kingdom Hearts HD 2.8: Final Chapter Prologue and -- more specifically -- initial thoughts on the included game: Kingdom Hearts: Dream Drop Distance. Also on the dock is talk about the proposed tax tariff on Mexican imports into the US, which could be 20%. How will this affect the gaming industry at large? I'll share my thoughts on that, and what might happen if the tariff goes into effect. Kingdom Hearts HD 2.8: Final Chapter Prologue is finally out, and I must say... it feels good to be playing a Kingdom Hearts game again. The last time I had played anything Kingdom Hearts-related was in 2012 when I finally beat Birth By Sleep (which is pretty much Kingdom Hearts 0 if you're not up on the series). 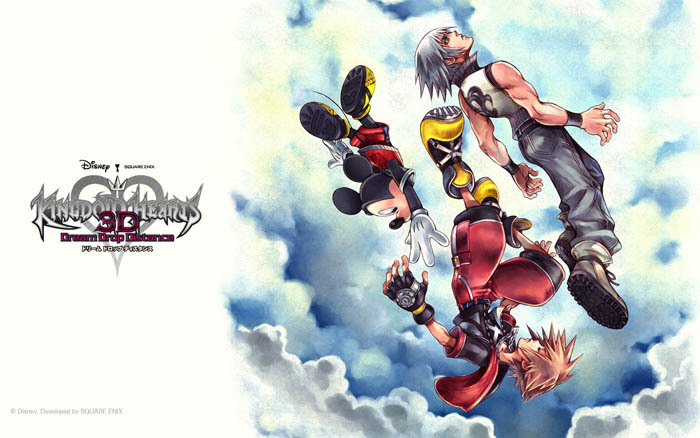 So it's been a good 4.5 years -- the longest I've ever gone without playing anything Kingdom Hearts-related since I was first introduced to the series via Chain of Memories in the mid-2000s. In the time between, I have to admit my affinity for the series has sort of lessened, thanks in no small part to the fact that we still don't have Kingdom Hearts 3. Square Enix has done a pretty good job keeping interest alive in the series over the years with the spin-off games, but in retrospect it's pretty clear that creator Tetsuya Nomura never had a clear roadmap of where the series was heading and when we'd get there. A lot of that is due to the mess that was Final Fantasy Versus XIII (which Nomura was directing) before Hajime Tabata stepped in and took over, but I digress. Having never played Dream Drop Distance when it originally released on 3DS, it was nice to finally dip my toes into Kingdom Heart's waters once more. However, almost immediately it reminded me of certain things that I do not like about the series. For one, the story is completely esoteric at times. There are various points in Kingdom Hearts 1 and 2 specifically where you'll have no idea what's going on and why things are happening the way they are -- especially in the beginning. Dream Drop Distance plays with this sort of storytelling style while filling in the gaps later on. Something I had also previously forgotten -- the worlds are largely very empty with nothing to do except fight enemies, find a few scattered treasure chests, and continue on to the next area. It's almost like walking into a large, attractive mansion only to find that there's no furniture or anything of value on the inside -- only large, empty rooms and maybe one person in the entire place. Dream Drop Distance improves on this a little bit by incorporating its new Flowmotion mechanic -- in which you can essentially zoom around the environment by sliding on rails, kicking off walls, and whatnot -- and also by having some more platforming. But it's not enough to really make it feel like they've made tremendous progress in making the worlds feel substantial. But aside from that, I'm enjoying the game the more I play it. I'll save the specifics for a potential review, but from what I've played so far, the story is definitely keeping my interest and the Disney worlds are great as well -- especially the world based on The Hunchback of Notre Dame. The battle system is a bit strange at first but once you get past the learning curve, it becomes a more engaging experience than in previous games. I'm pretty positive on Dream Drop Distance overall at the moment, so I look forward to diving back in and finishing it hopefully sometime this week. I may even attempt to get the Platinum, which speaks volumes as to how much I'm enjoying it. Expect to hear more about it in an upcoming review! The Proposed Mexican Tax Tariff: How will it affect the games industry? The new presidential administration in the US has made no shortage of scandals in the last week or so since they started, but one potential idea that is gaining traction amidst lawmakers that may affect the gaming landscape quite a bit is the proposal of a 20% tax tariff on Mexican imports. If you didn't already know, there are quite a few things in the gaming industry that are actually manufactured and regularly imported from Mexico, beyond regular things that we depend on (such as various foodstuffs, clothing, etc) in our everyday life. One of the biggest things is that Nintendo has facilities there, including some of its manufacturing. Exactly how much, I don't know, but it's possible that some of their physical game stock in North America comes from there. Nintendo actually closed down their operations in Brazil in 2015 over high tax tariffs there, and if the Mexican import tariff turns out to be a real thing, they could possibly withdraw there as well if the ends don't justify the means. Until then, for the immediate future, it would seem that gamers would have to deal with the extra 20% on certain purchases. This would be especially tough to swallow when it comes to buying consoles, like the upcoming Switch. Not including sales tax, the proposed 20% tax tariff would effectively add a cool $60 to the already not-cheap $300 price tag, which would "kill" the deal for many who were already on the fence about buying it. Something else to consider: if games are affected by the tariff, wouldn't they just turn to buying games digitally? That'd definitely be one way to avoid it, though I could also see publishers using the tariff as an excuse to raise prices on digital games so they're on parity with the higher price of their physical counterparts. We'd have to wait and see. In the end, it's difficult to imagine that most gamers would continue to buy as many games as they currently are if the Mexican tax tariff takes effect. It may be too early to tell how much it'll affect the industry as a whole (as there are ways of getting around it) but I imagine we'll see sales of physical games go way down if a number of them are indeed manufactured in Mexico. Let's hope the proposed tax doesn't go through. What are your thoughts on the proposed Mexican import tax tariff? Would you buy your games digitally to avoid the tax if it goes through?